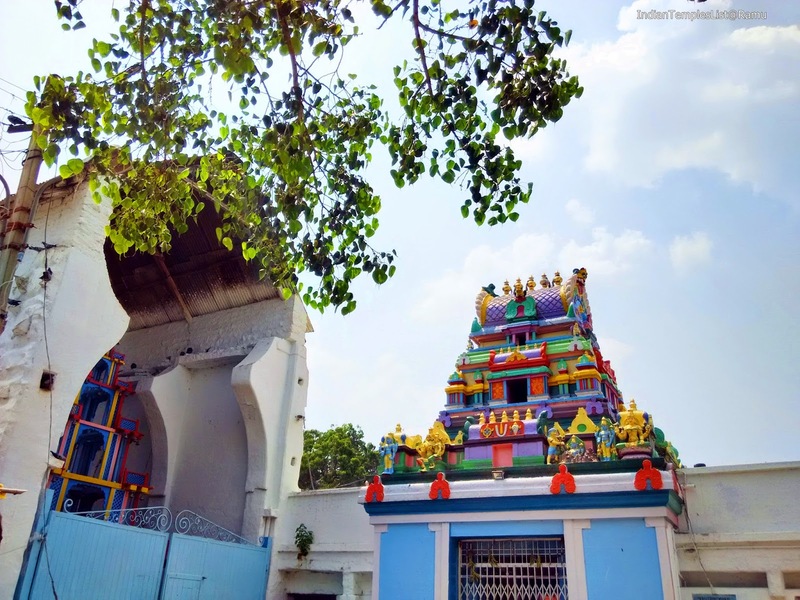 Chilkur Balaji Temple also known among the devotees as Visa God or Visa Balaji Temple is a famous temple dedicated to Lord Balaji in Hyderabad. 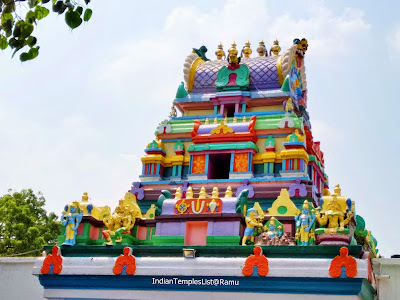 Chilkur temple is just 30 km away from Hyderabad city on the Vikarabad Highway at Chilkur Village in Moinabad Mandal of Telangana State. Many devotees who wish to go abroad come here to this temple and pray Lord Balaji to get their wishes fructify. The temple is located on the banks of the Osman Sagar Lake (Gandipet). 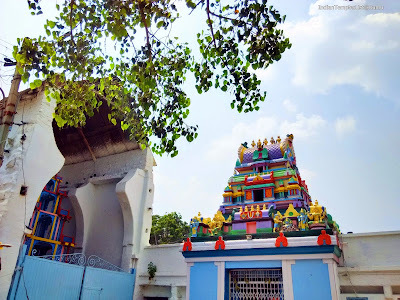 The temple is present on the banks of Osmansagar Lake, which is popularly known as Gandipet Lake (An artificial lake in Hyderabad constructed by Osman Ali Khan in the year 1920 by damming the Musi River). It is one of the famous ancient and oldest temple in Telangana constructed during the days of Akkana and Madanna Qutb Shahi dynasty period. Devotees who visit this famous temple for the first time need to do 11 Parikrama or Pradakshina and then express their wish in front of Swayambhu Lord Venkateshwara idol without closing their eyes. Devotees whose wishes are fulfilled will once again come to Chilkur Balaji Temple and take 108 Parikrama. Chilkur Balaji Temple is one of the rare places I have seen where one can still witness the chanting's of Lord Balaji in high pitches while doing the Parikramas. A place of true worship can be witnessed at Chilkur Temple. 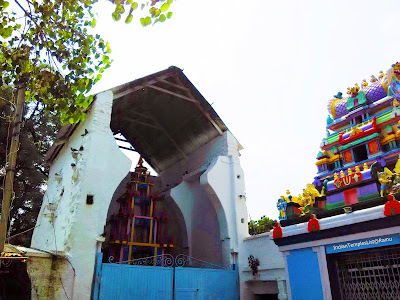 Don't forget to visit Chilkur Balaji Temple when you are in Hyderabad next time. The temple doesn't accept money or donations from the devotees and there is no entry fee. You don't find a single Hundi in this temple. Also, there is no special queue for VIP and Celebrities. All pilgrims are treated equal at Chilkur Balaji Temple, which is rarely noticed in other popular temples of India. There are many stalls surrounding the temple offering Puja items. There are some small and large hotels around the temple offering snacks and breakfast to the pilgrims. The peaceful and quiet atmosphere of Chilkur attracts a lot of devotees how are fed up with Hyderabad noise pollution. Mobile phones are not permitted in Chilkur Visa God temple as a new rule. So, pilgrims have to leave their cell phones, Smartphones/Tablets, important luggage bags and any other belongings near the queue counter and take the receipt before going to Balaji Darshan. Chilkur temple in Hyderabad was meant as an alternative for those who could not go to Tirumala and visit the temple of Lord Balaji. Today, this temple has become a mandatory stop for those seeking a H1B visas and is often visited by software and IT professionals in and around Andhra Pradesh and Telangana. The state government repeatedly tried to take over the temple, but its trustees, priests and devotees have always come together to stop any such attempts. Although people come to this temple with different wishes - to marry, have children, have their own home, for health problems - visa seekers, however, make up the largest percentage. Devotees can contribute to the Chilkur Balaji Temple - Daily Puja Fund and have the blessings of Lord Balaji. The temple also publishes a Trilingual Monthly Magazine called VAK and devotees can purchase this magazine at a nominal price in the temple itself. This great historic temple often called as Mini Tirumala is opened to the pilgrims in all days of the week. The temple will be too crowded during Fridays, Saturdays, Sundays and on public holidays. Chilkur Balaji temple pujari is C.S. Rangarajan. Pilgrims are advised to start early from their homes and avoid 108 Pradakshina (circumambulation) during these peak days. Brahmotsavam (Seven Days Annual Festival) is celebrated every year during the period of Chaitra Masam (March to April) from the next day after Sri Rama Navami. All other Hindu festivals are celebrated with great fervor at this temple. The temple is located at a distance of about 21.4 km from Mehdipatnam. Telangana State is providing bus services to Chilkur Balaji Temple especially on Sundays from Mehdipatnam and other places. There are many small Restaurants, Stalls and budget Hotels near the temple for food and accommodation. The Telangana State Tourism Development Corporation (TSTDC) built the Haritha Hotel near the Chilkur Temple, which has 1 A/C Suite, 3 A/C Rooms and a dormitory. Share this temple information with your friends and make my countless hours of work count.